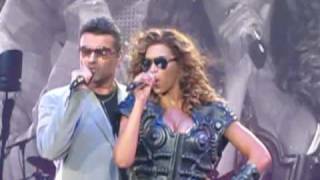 Beyonce and George Michael "If I Were a Boy"
Aug 10, 2009 · Regarder la vidéo «Beyonce and George Michael - If I Were a Boy» envoyée par koala47 sur Dailymotion. Beyonce and George Michael - If I Were a Boy Live !!! During her live London show Beyonce brought out surprise guest George Michael to sing the the hit single ‘If I were A Boy’.